Have you ever been in an accident where your skin got burned? When you get an injury by accidentally holding a very hot surface, or actually came in direct skin contact with fire? I have, but was only involved in minor injuries. Being the clumsy klutz I am, I’ve actually managed to burn myself a couple of times already. I’ve unconsciously touched a very hot pan I’m cooking with without a mitten or cloth on my hand. I’ve managed to hurt my fingers with hot boiling water which caused boils here and there. Thankfully, I’ve never experienced something more severe than a few small blisters. I knew how painful those little suckers are no matter how small they may be. So, what more if you got involved in an accident where you received first, second or third-degree burns? That could’ve hurt way more than blisters. They say burns actually hurt a whole lot more than other types of wounds. Yikes! Which is why when I came across a video of a dog who had an unfortunate injury – a burn injury to be exact, I can’t help but wince for him. I can’t imagine how painful it could have been, most especially with the large area of burns on his skin. 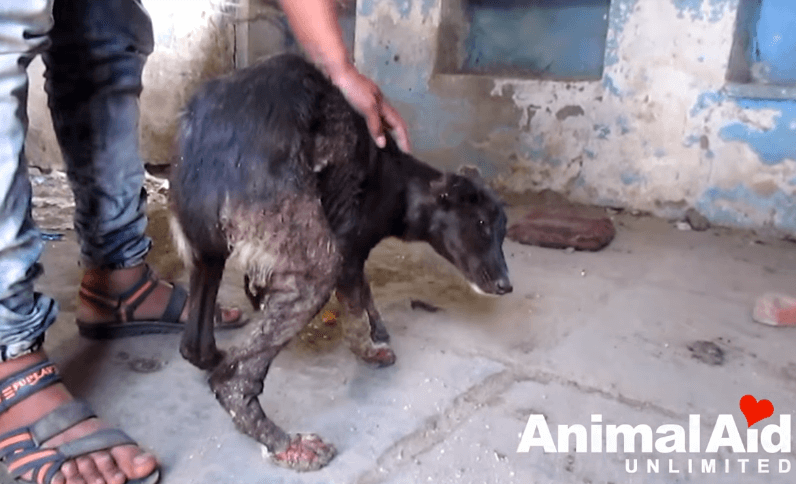 An animal rescue group – Animal Aid Unlimited, India, received a call that needed immediate help. The caller told them that a female dog got involved in an accident where she got burn injuries in large areas of her body. The rescue group did not waste time in responding to the dog’s aid. Upon arriving, the rescuers were led to an abandoned building where the dog has taken refuge. 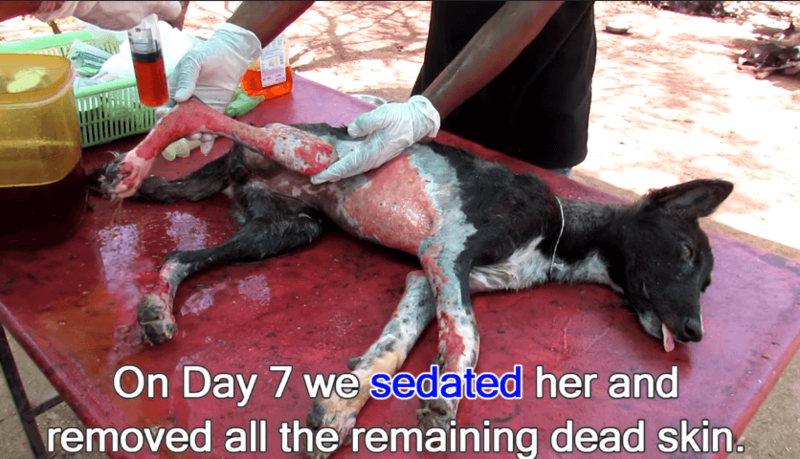 They were told that the poor street dog accidentally fell on boiling water and caused massive burns on her legs and underside. This Dog Misses His Owner So Much It Will Bring Tears Of Joy To Your Eyes!